Capital Janitorial can provide a wide range of items for the food service Industry from catering supplies to restaurant supplies, we have what you need. If are looking for an item that is not listed below please let us know and we can help you. 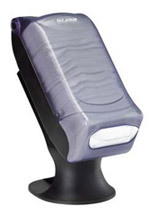 Venue™ Dispenser with Stand - Napkin dispensing that combines attractive design with versatility for any venue. Featuring the patented Present® System, Venue™ offers smooth, precise dispensing while offering up to 50% increased capacity. Transparent cover and faces help monitor napkin levels, and 3 innovative face designs offer versatility for different napkins and operations. Stand model enhances store image and provides smooth dispensing.